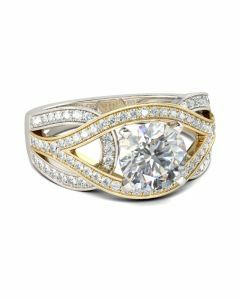 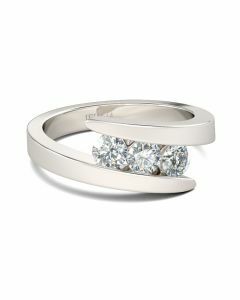 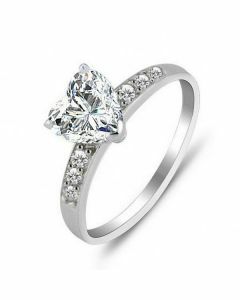 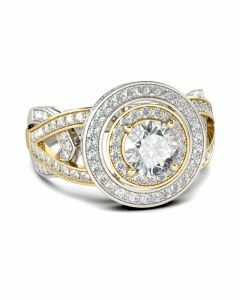 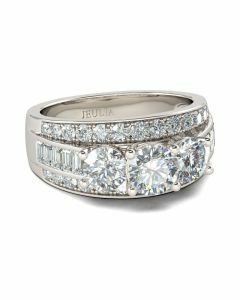 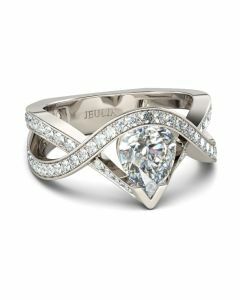 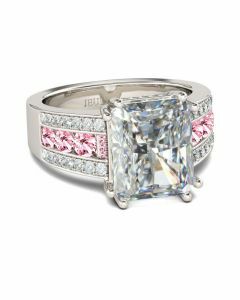 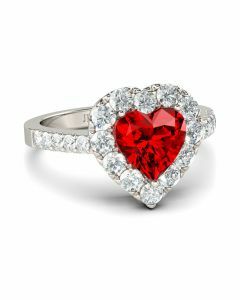 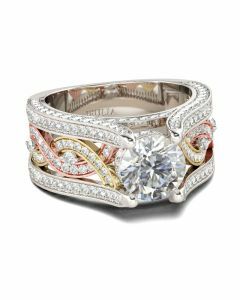 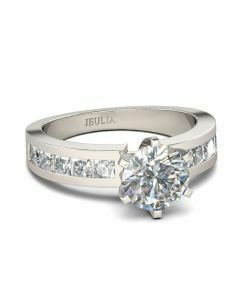 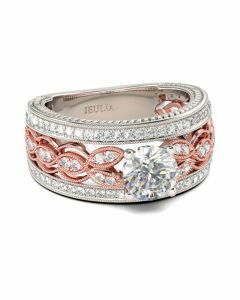 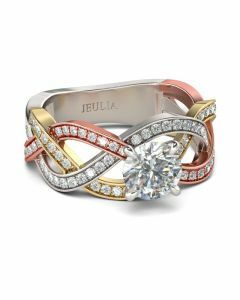 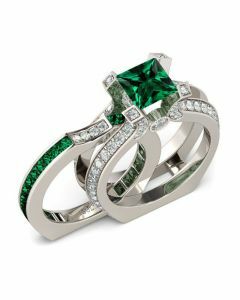 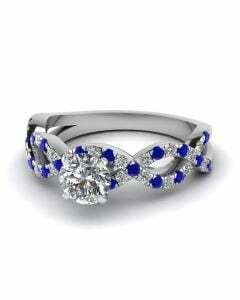 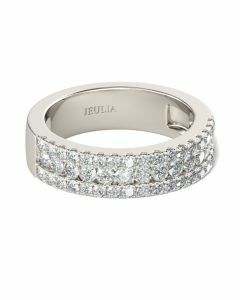 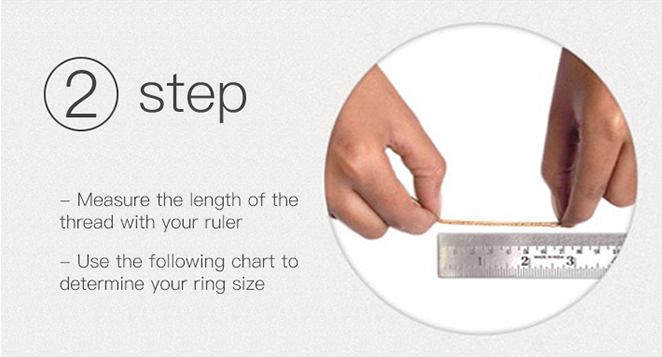 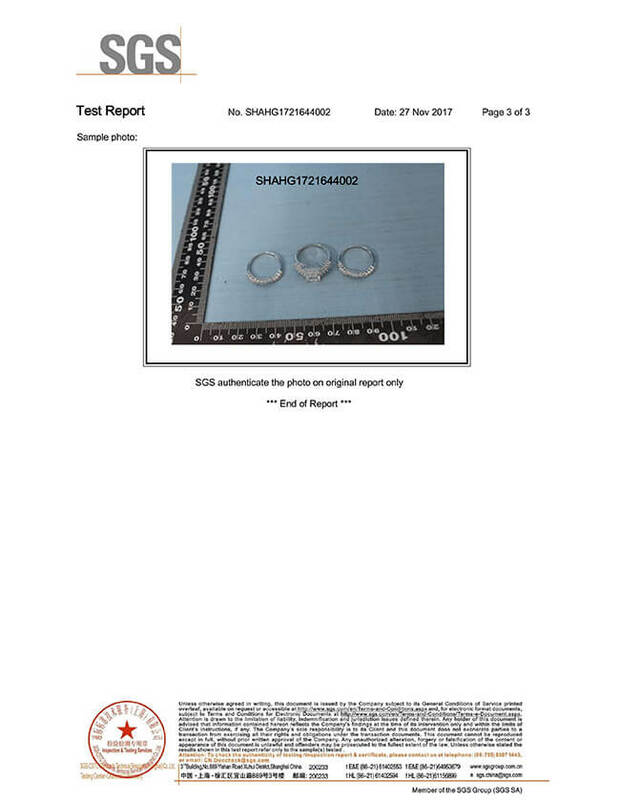 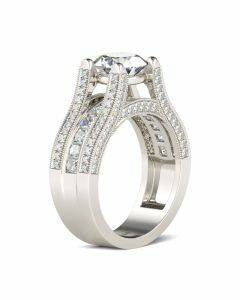 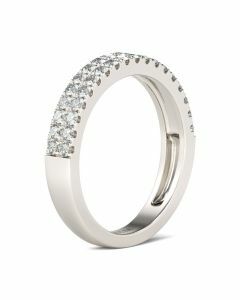 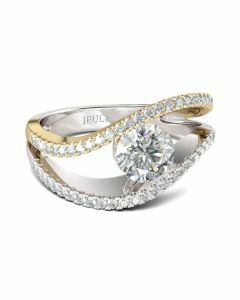 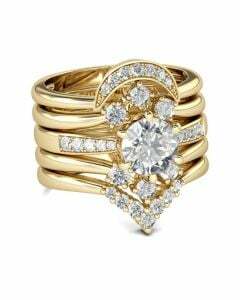 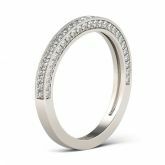 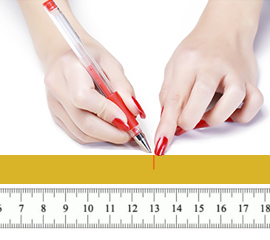 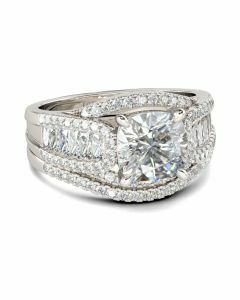 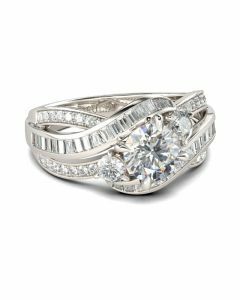 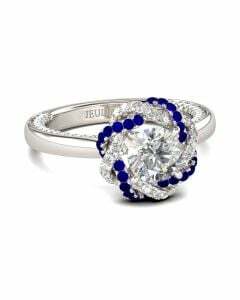 Celebrate your everlasting love story with three sided pave band. 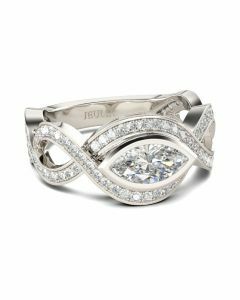 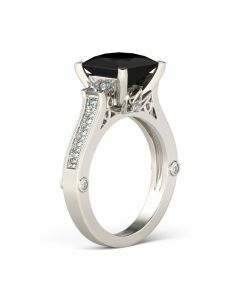 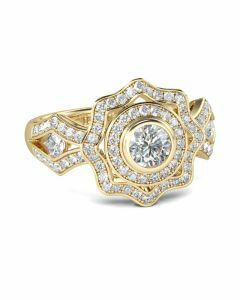 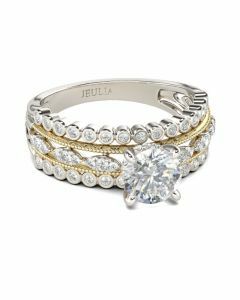 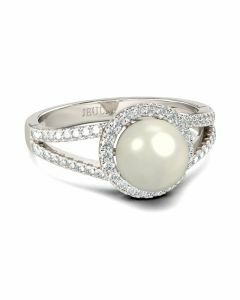 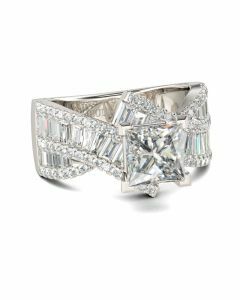 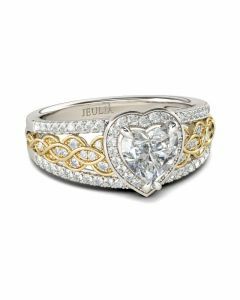 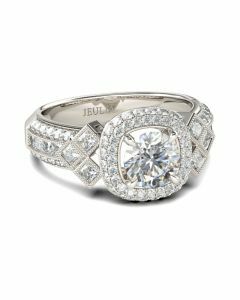 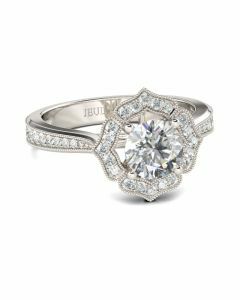 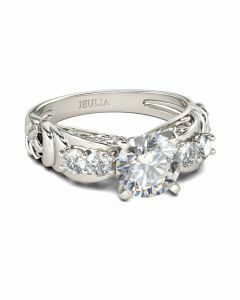 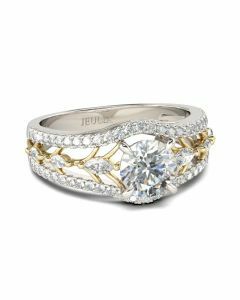 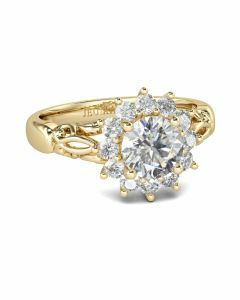 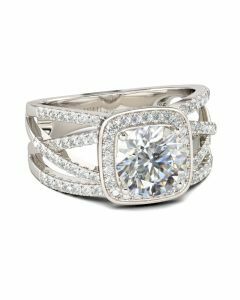 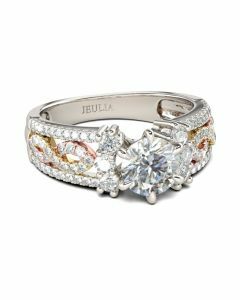 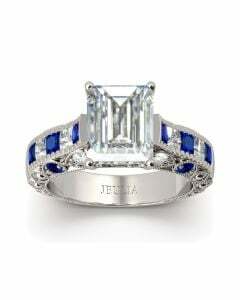 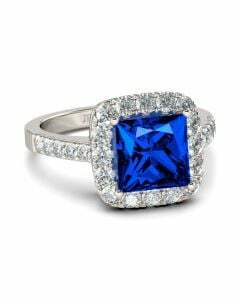 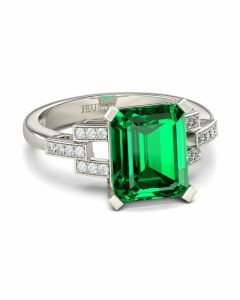 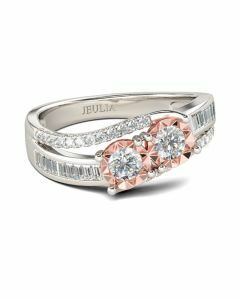 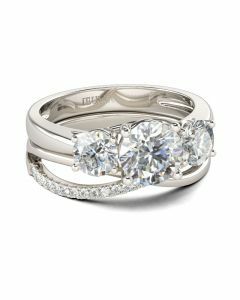 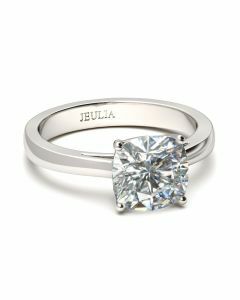 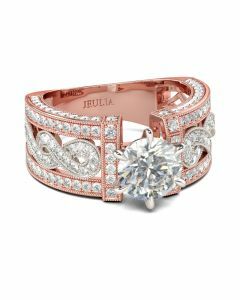 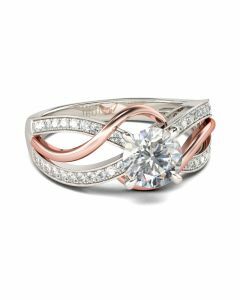 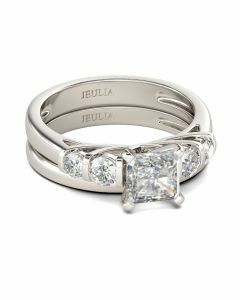 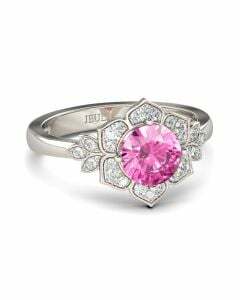 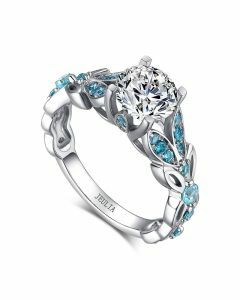 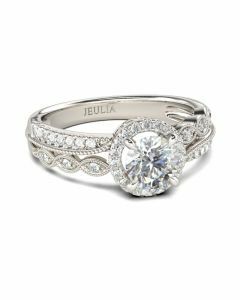 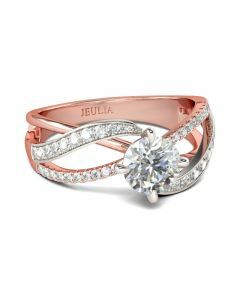 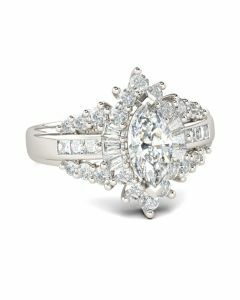 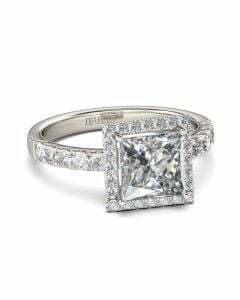 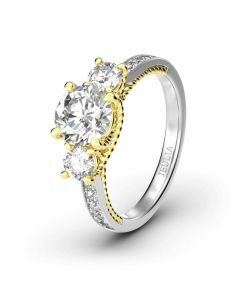 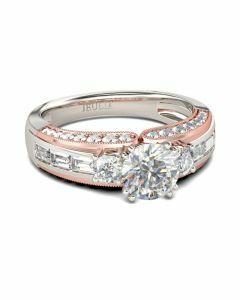 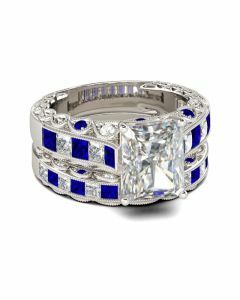 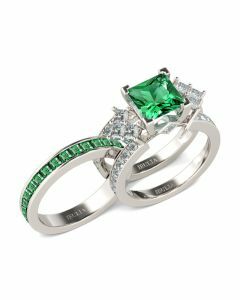 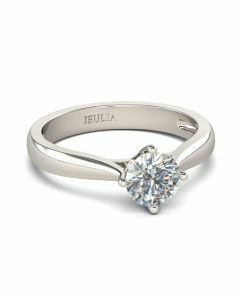 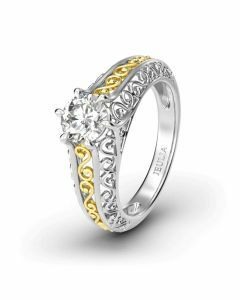 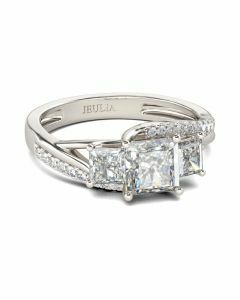 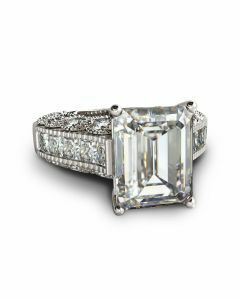 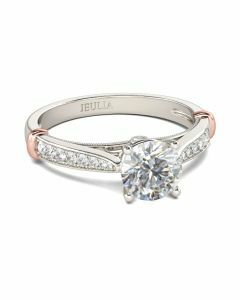 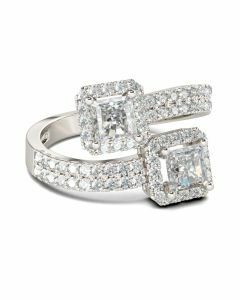 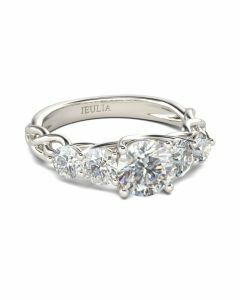 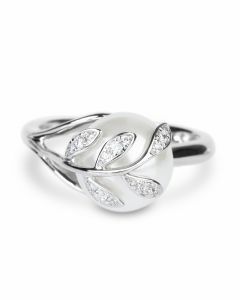 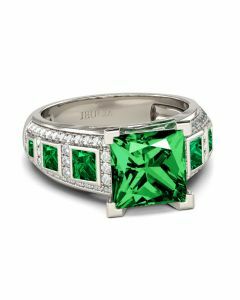 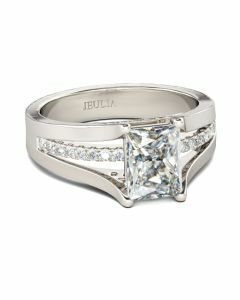 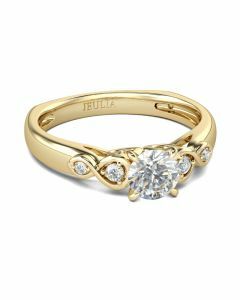 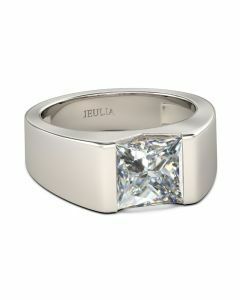 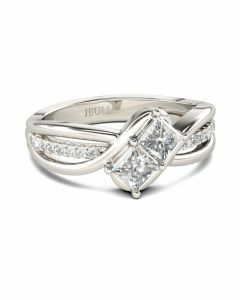 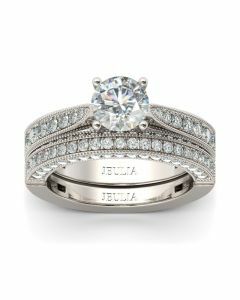 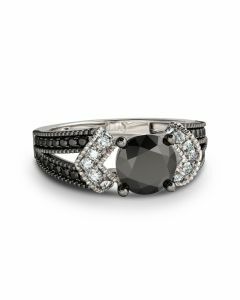 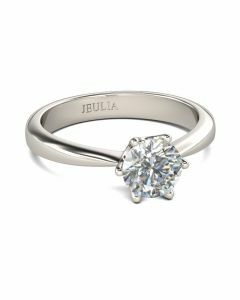 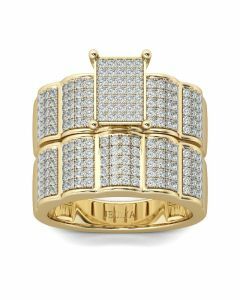 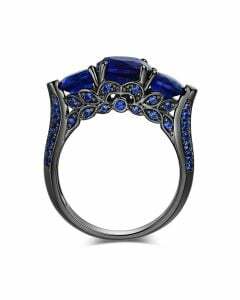 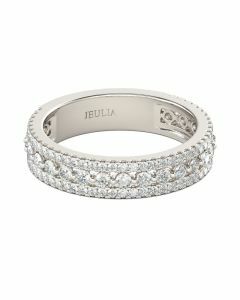 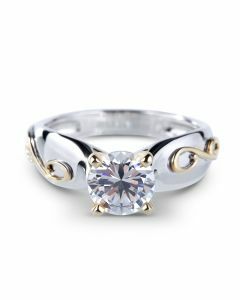 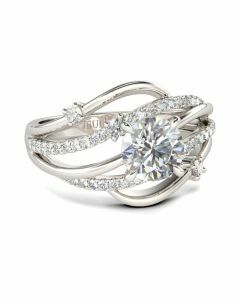 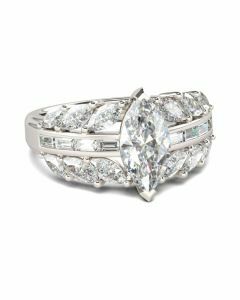 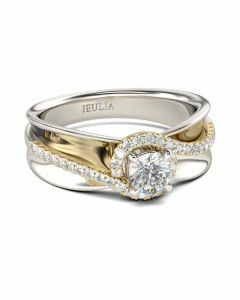 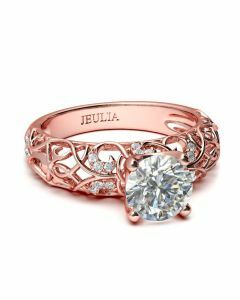 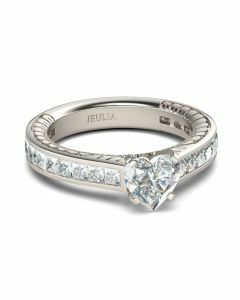 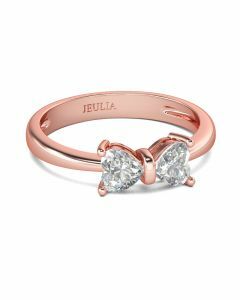 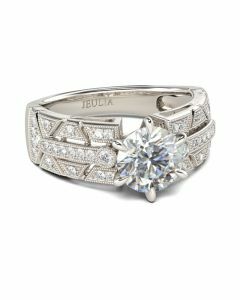 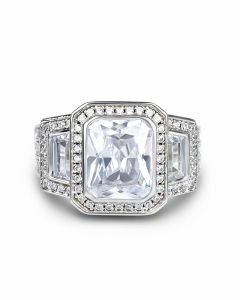 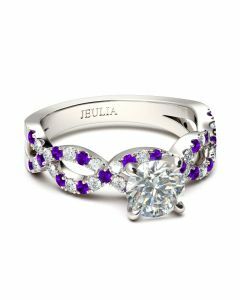 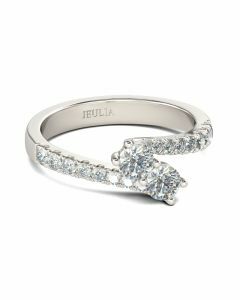 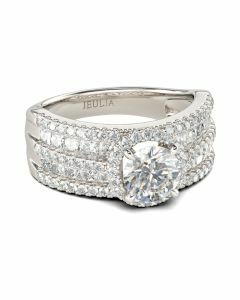 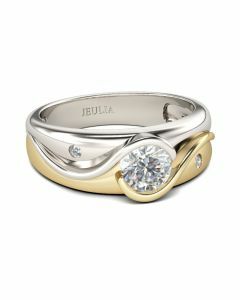 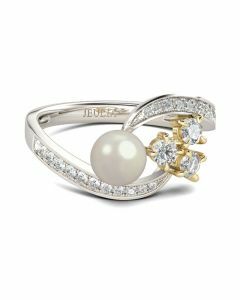 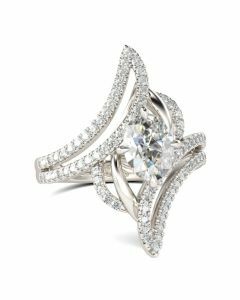 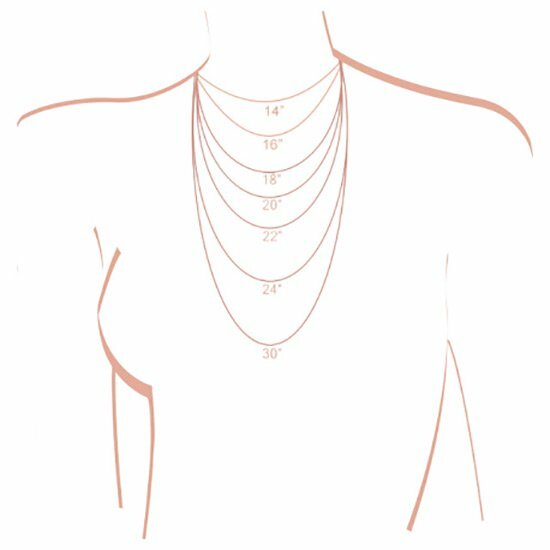 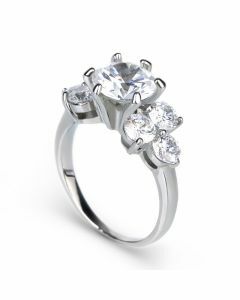 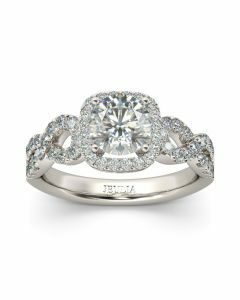 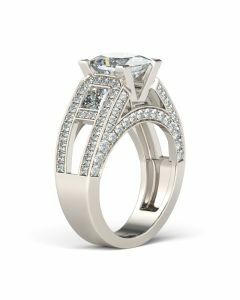 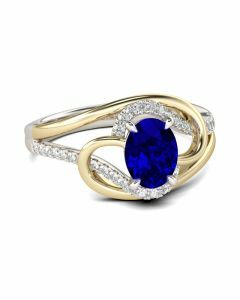 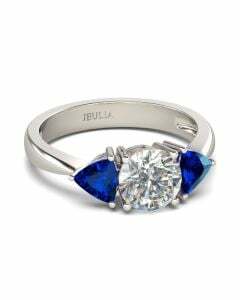 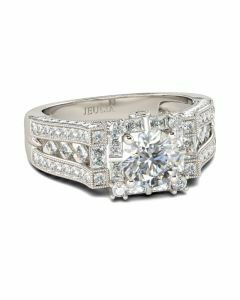 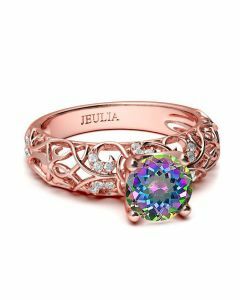 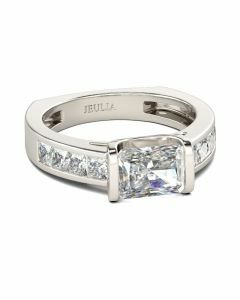 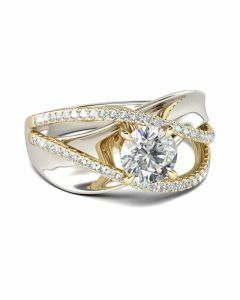 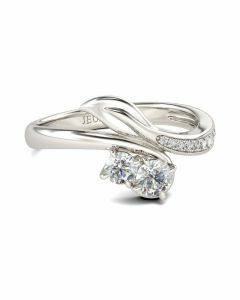 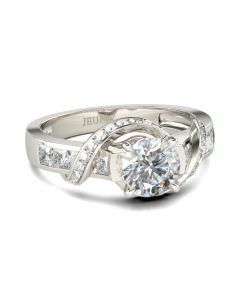 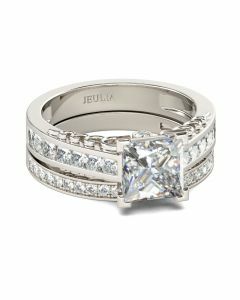 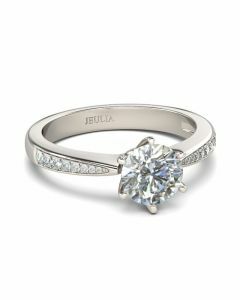 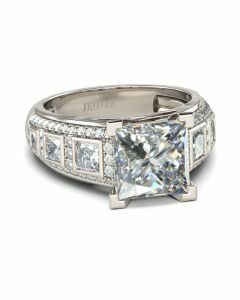 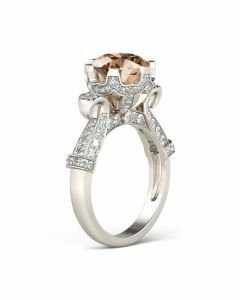 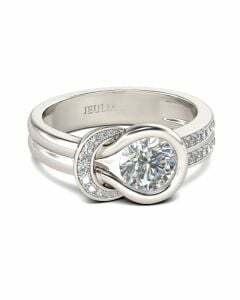 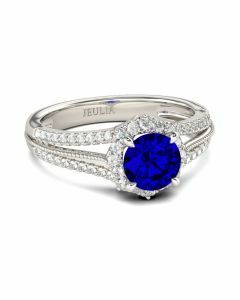 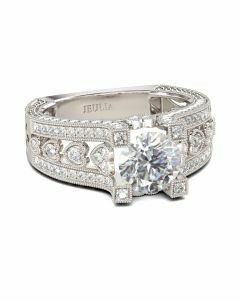 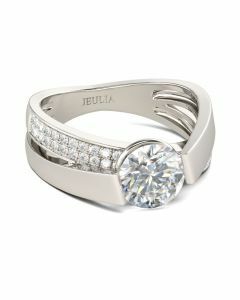 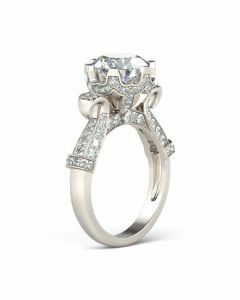 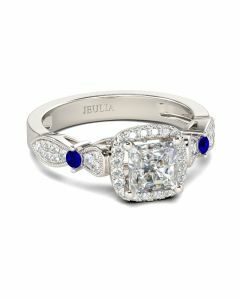 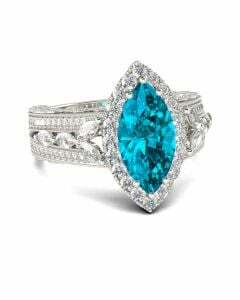 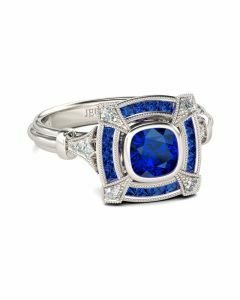 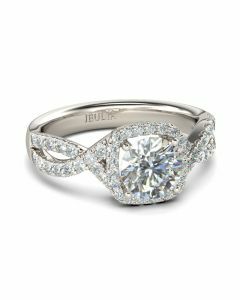 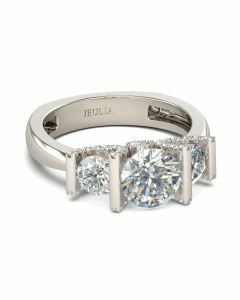 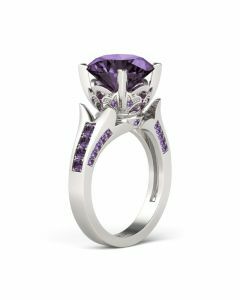 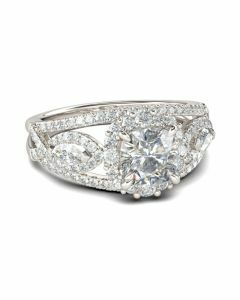 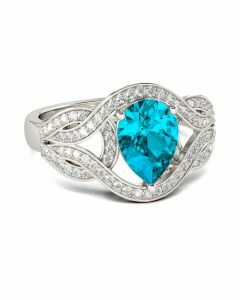 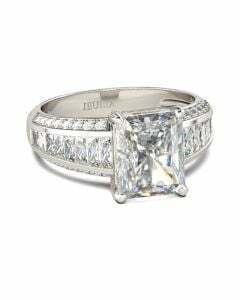 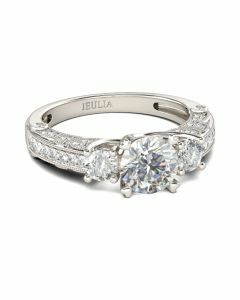 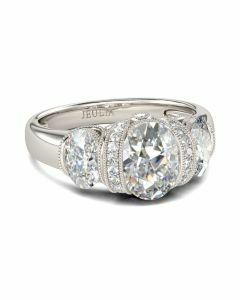 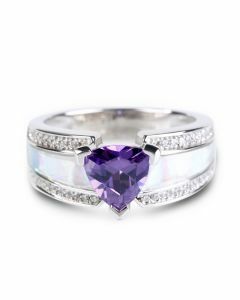 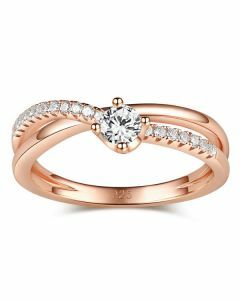 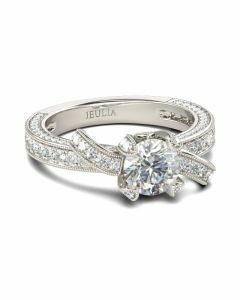 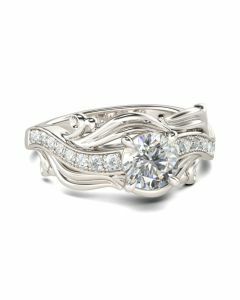 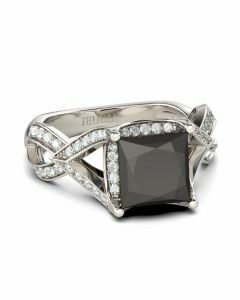 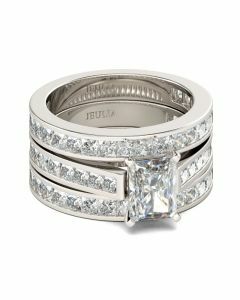 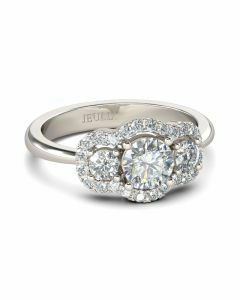 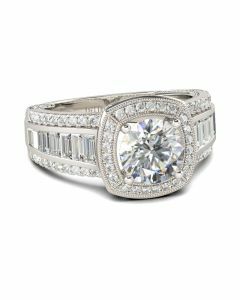 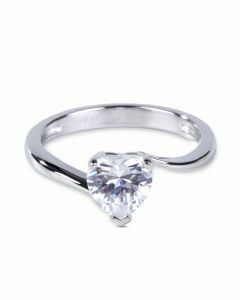 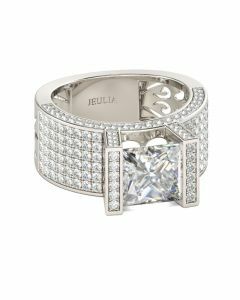 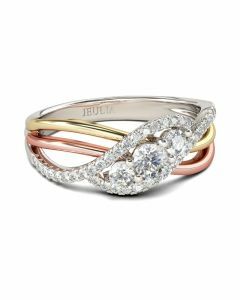 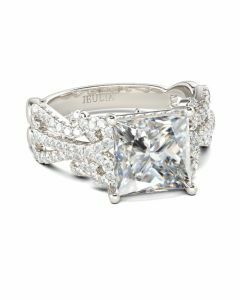 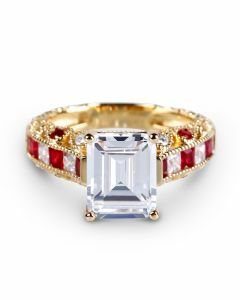 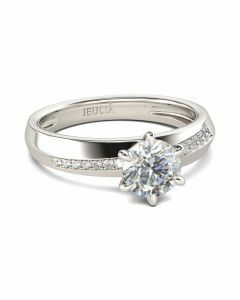 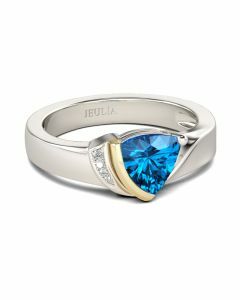 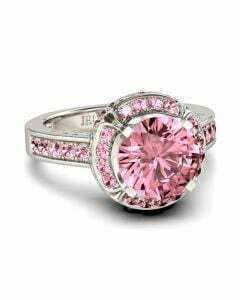 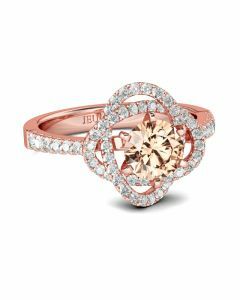 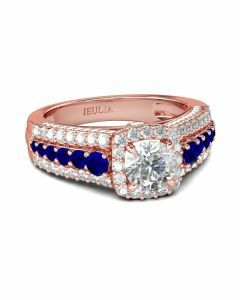 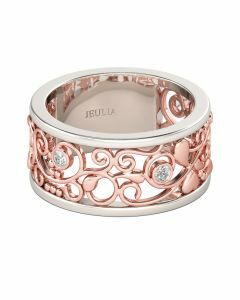 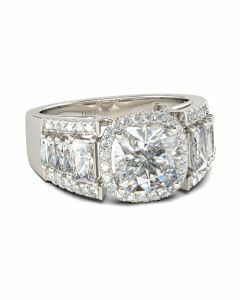 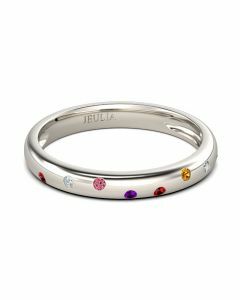 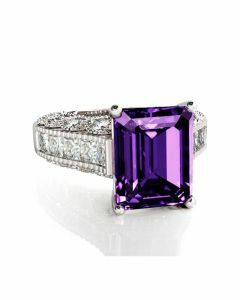 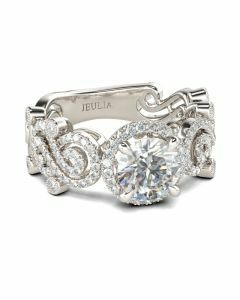 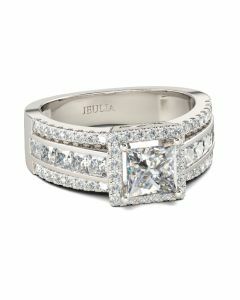 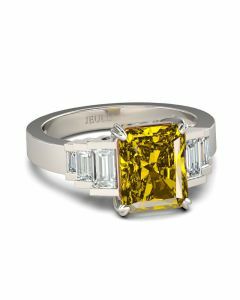 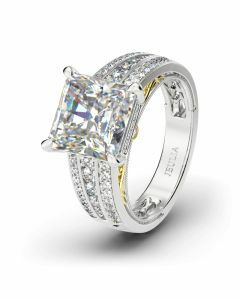 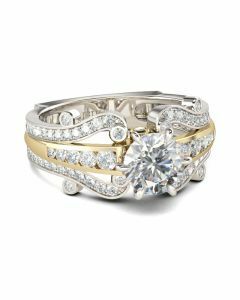 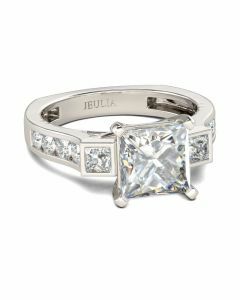 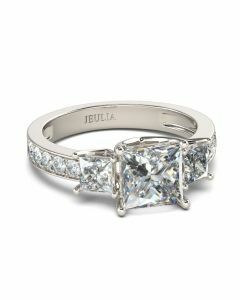 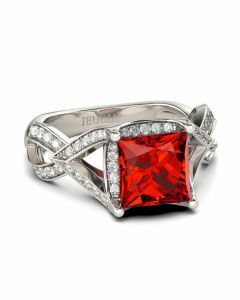 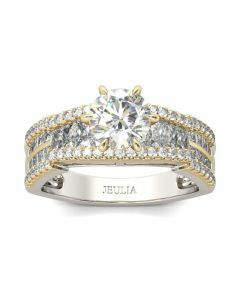 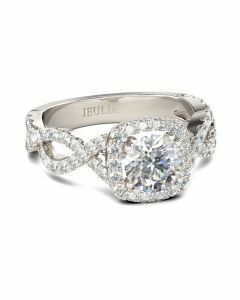 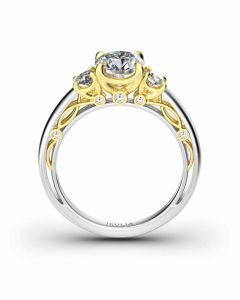 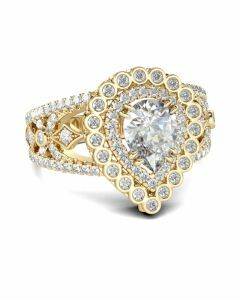 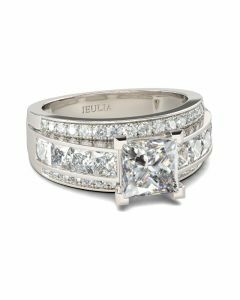 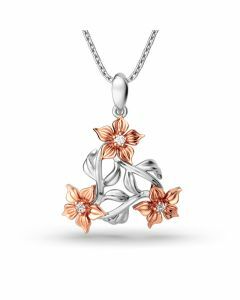 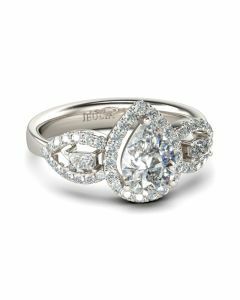 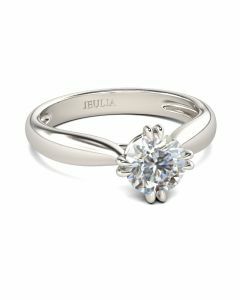 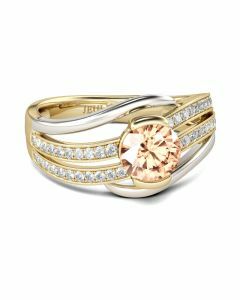 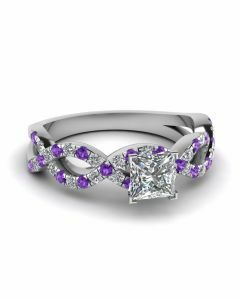 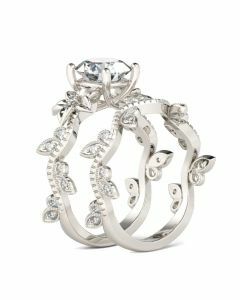 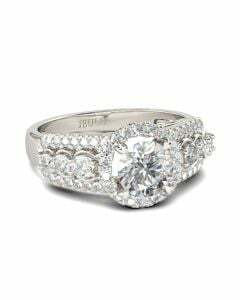 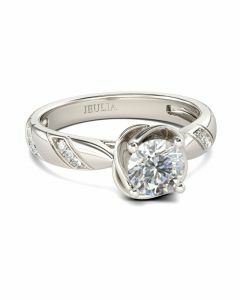 Stunning as a wedding or anniversary band, this exquisite style is lovely alone or paired with engagement ring. 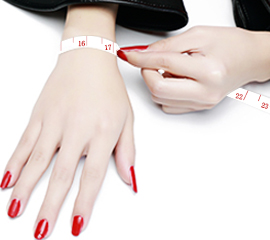 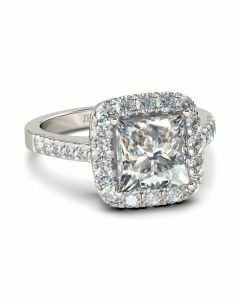 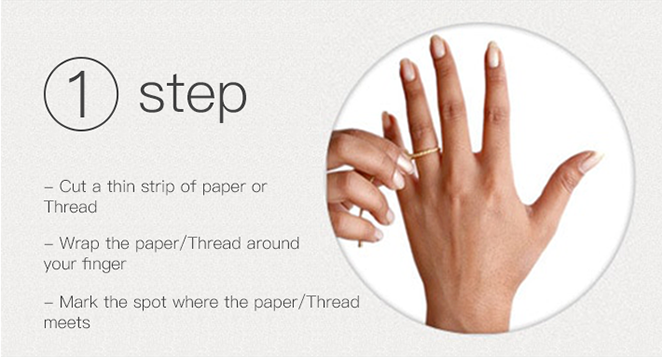 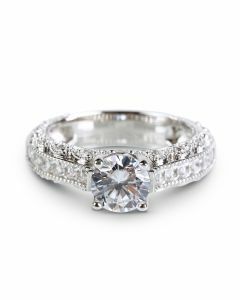 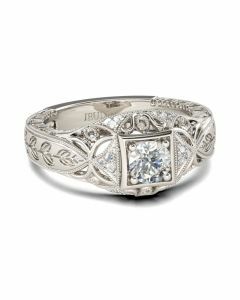 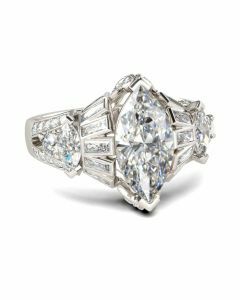 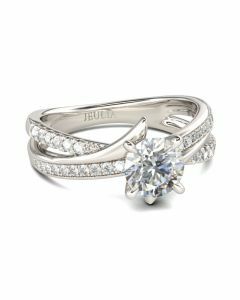 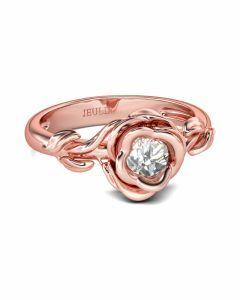 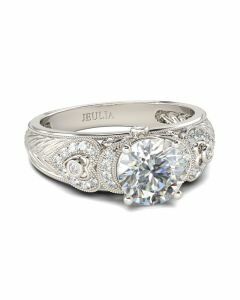 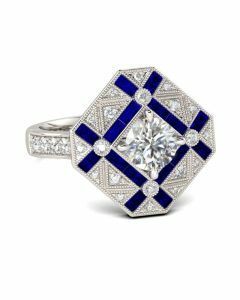 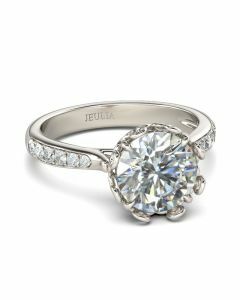 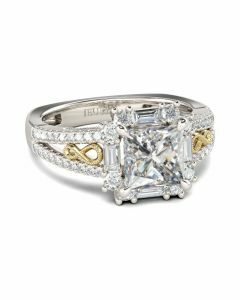 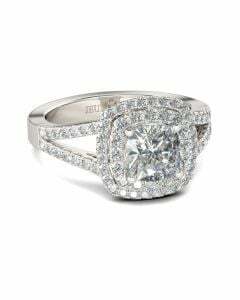 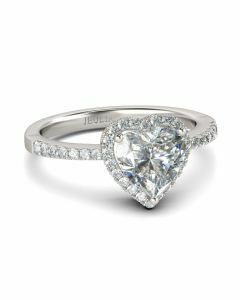 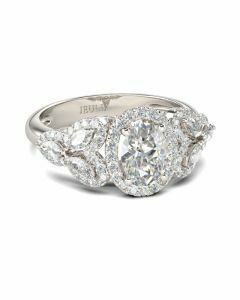 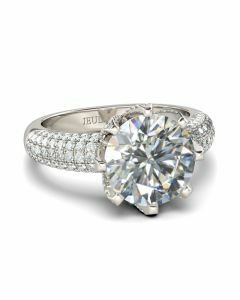 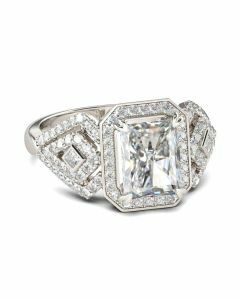 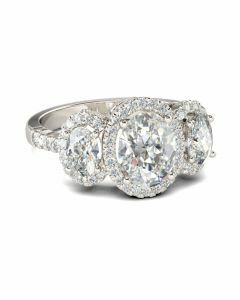 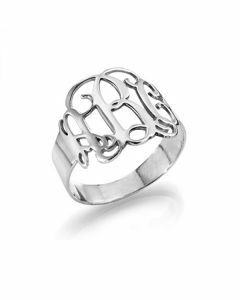 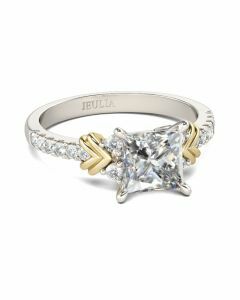 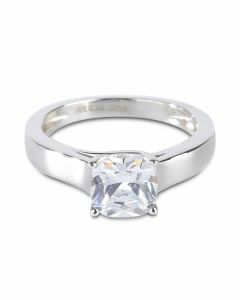 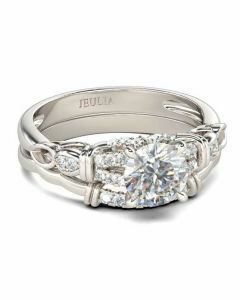 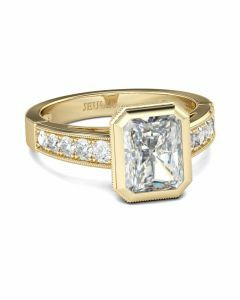 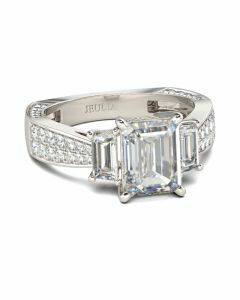 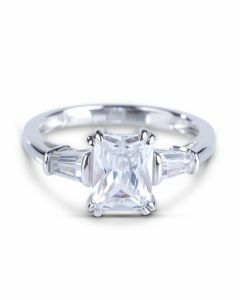 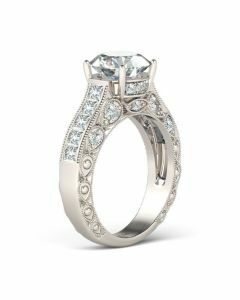 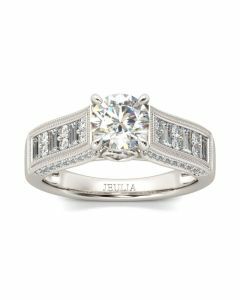 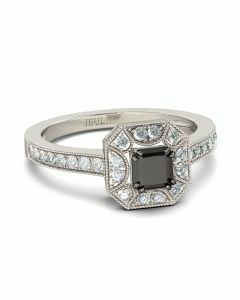 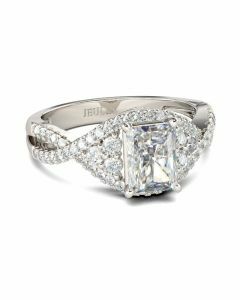 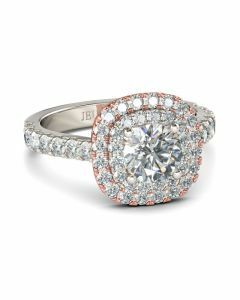 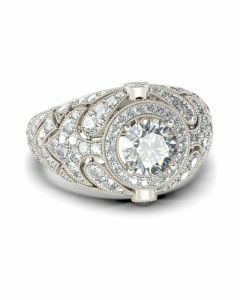 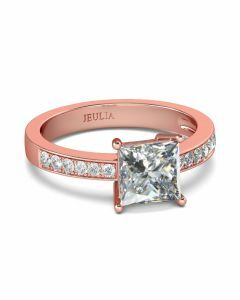 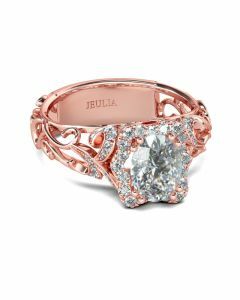 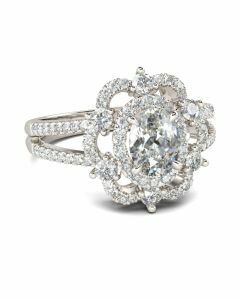 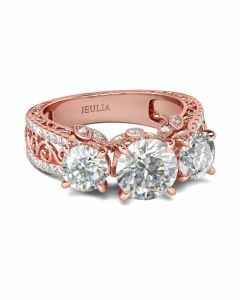 Buffed to a brilliant luster, this ring is a beautiful reminder of your timeless romance.